Vegetarianism is a big deal, ethically speaking. It was put on the map in terms of public philosophy by utilitarian Peter Singer, with his landmark Animal Liberation, published back in 1975. In truth, utilitarians have been very clear on the subject from the beginning. The founder of the approach, Jeremy Bentham, famously said that when it comes to the treatment of animals “the question is not, Can they reason? nor, Can they talk? but, Can they suffer?” (in: Introduction to the Principles of Morals and Legislation, 1789). I think vegetarianism is, in fact, one of those cases where the ancient road is not the best one, and we need to revise it. Full disclosure here: I am not a complete vegetarian, though I heavily lean that way. My eating habits can best be described as vegetarianism with the addition of occasional wild caught fish thrown into the mix (paying attention to whether the species in question is being overfished). I have never considered veganism seriously, even though the ethical argument there is at least as strong as the one for vegetarianism (though it’s not easy to be a healthy vegan, an issue I don’t want to get into here because it would distract from the main point). You could accuse me of hypocrisy, and I will respond that I’m trying to do my best, and that at any rate I’m doing more than a lot of other people. Never claimed to be a sage, never will. As Corter himself recognizes near the end of his essay, this is of course a variation of the somewhat annoying generic question: “is X Stoic?” He is somewhat dismissive of the question itself, which — to be sure — is often abused on social media. But that doesn’t mean it isn’t a sensible question. Jeremy says “the Stoics don’t ‘approve’ of anything besides virtue … In short, it’s all indifferent.” Well, not exactly. To begin with, virtue means nothing in a vacuum. Virtue is a propensity to engage in certain behaviors because that’s the right thing to do (as oppose to a vice, which is a propensity to engage in the wrong sort of behavior). One cannot be courageous, or just, or temperate, or prudent (phronesis) in the abstract. Virtue is considered by the Stoics the chief good because it can never, by definition, be used for ill. But it needs to be used for something nonetheless! For what? Well, for handling the indifferents, which as we know come in two categories: preferred and dispreferred. This means that it is a bit too reductive and glib to say that the Stoics approve only of virtue because the rest is indifferent. The Stoics, for instance, opposed tyranny, and several of them lost their lives fighting it. Clearly, that means they disapproved of it! Seneca even approved of something as apparently neutral as rest and relaxation, as he makes clear in On Tranquillity of Mind, XVII. 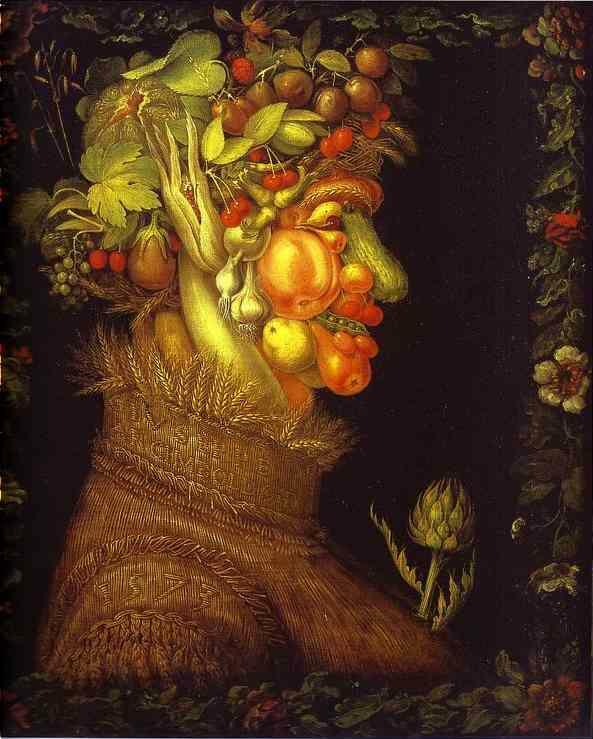 So “is vegetarianism Stoic?” is a real question, and we need to find the answer not in the specifics of what the ancient said (since they are our guides, not our masters), but in the resources offered by the Stoic philosophical system as a whole. This approach is not unusual, being the same sort of exercise that modern Buddhists, say, or Christians, or Jews, engage in whenever looking at their own tradition for guidance concerning modern issues. Corter is not overthinking at all. He just should have pursued that line of thinking a bit further. We know a lot more nowadays about animal suffering than the Stoics did two millennia ago. Moreover, we have developed truly horrific standardized practices for the treatment of animals in quantities that the Stoics could not have imagined. I strongly suggest these numbers ought to disturb you, especially if you know anything about how all of this is actually done. And that’s without bringing into consideration additional factors that the ancient Stoics were not concerned with, like labor practices (generally speaking, horrible) and environmental impact (not at all good, to put it very mildly). Given all this, I strongly suggest that modern Stoics should lean heavily toward vegetarianism, or at the very least endorse only humane practices of raising and killing animals, as it is done in a number of small, independently owned farms. The problem is that that model simply does not scale up to feeding billions of human beings, which means that, for practical purposes, Stoics should indeed be vegetarian. But what about the idea — which the ancient Stoics surely did have — that animals and plants are here to satisfy human needs? That idea stemmed from the Stoic concept of a providential universe, understood as a living organism itself, endowed with the Logos, the capacity for rationality. The problem is that modern science very clearly tells us that that’s not the kind of universe we exist in. Plants and other animals are the product of billions of years of evolution, just like ourselves, and so in no rational way can they be said to be here “for” us. Seneca, above, said that the truth lies open to all; it has not yet been taken over, as much is left for those yet to come. Well, two thousand years later we are still searching for a lot of truths, but we have found out a few more than in Seneca’s time. It is our ethical duty, therefore, to update our practices accordingly. Remember that one of the pillars of Stoic philosophy is precisely that the “physics” (i.e., all of natural science) should inform our ethics, so better knowledge of biology in particular should redirect the way we think about what is right and what is wrong when it comes to eating habits. Substitute “diet” for “money” and you can answer in the same way: reason. And reason — given contemporary scientific knowledge — very much tells us that we, as Stoics, ought to be vegetarians. Therefore, I’m going to redouble my personal efforts to follow this path and further reduce my intake of other foodstuff. I hope you will join me, to reduce both suffering in the world and our carbon footprint as a species. And Seneca adds, you’ll also feel better and think more clearly. P.S. : very likely, there will be people who will read the above and argue the facts. I have neither time nor inclination to debate the science, so I will not respond. I have looked long and hard, as a biologist, into the various issues surrounding vegetarianism, and I have concluded to my own satisfaction that a vegetarian diet is: (i) better in terms of the ethics of animal suffering (though not as good as a vegan one); (ii) better for the environment; (iii) not supportive of horrible labor practices that are commonly engaged in by large agricultural corporations; and (iv) better for your health. If you are not convinced, that’s your prerogative, and clearly outside my control. This entry was posted in Modern Stoicism, Science, What Would a Stoic Do? on July 17, 2018 by Massimo. The Mediterranean diet is pretty close to what I follow. But it isn’t a question of changing our DNA. Our dietary habits have changed dramatically since the Pleistocene, particularly after the agriculture revolution. Our digestive systems are extremely flexible (“plastic” is the biological term). We can (and, I argue, should) eat a vegetarian or vegan diet. Other things being equal (like access to resources, including financial ones), as other commenters have pointed out. I believe the majority that that endorses a vegetarian diet aren’t too mad about people eating meat due to special reasons, e.g. dietary requirements. Well a Stoic vegetarian just wouldn’t get mad, period. [ref: Seneca’s on Anger, best read with Massimo’s essays]. What is the most unethical is perhaps not the act of consuming animal products, but the act of being ignorant of what one can do to reduce living beings’ suffering and environmental impacts. In countries that meat is cheaper than vegetables, some families have to take the meat option if they aren’t very rich and have many kids to feed. However, it’s most probably unethical for people who clearly could loose a few kilos to be hanging around the BBQ grilling loads of industrially farmed meat. Socrates famously said “There is only one good, knowledge, and one evil, ignorance.” In my mind, if one (such as yourself) reflects upon her/his actions frequently and do the best to improve our society, then one isn’t ignorant, therefore not evil. I’m not sure if this would put your mind more at ease, but free range farming has been used in various places for good (see Allan Savory’s Ted talk on holistic farming https://www.ted.com/talks/allan_savory_how_to_green_the_world_s_deserts_and_reverse_climate_change). Same here buddy, I have close to zero access to grass-fed beef and I can’t trust the supermarket ones. They don’t taste that well either (even my sister’s dog can tell, pretty picky eater). The ones in specialty shops cost a lot. I just have them from time to time. It’s avocado season here so I get a good source of fat from that plus I live right by the sea (or strait to be exact) so sea-caught fatty fishes are abundant. Shellfish, I don’t think “feel” pain. So I think oysters are a conscience-free choice. For health and mood disorder reasons, I would rather eat fatty foods (keto diet to be exact) to mitigate the use and effects of meds on my liver everyday (and alcohol on really stressful days). But you can go keto, I believe, through an ovo-lacto vegetarian diet. It’s a good approximate of the median when it comes to ethics without compromising heath. Adding in omega-rich fish and seafood is, to me (for now), the optimal. Can’t wait to be able to grow and process my own food though (i.e. modular aquaponics and backyard farming). Cheers! Thanks for this article Massimo, it’s great to see the issue of vegetarianism and non-human animal suffering taken seriously from a Stoic perspective. The issue is complex (like everything, really) because it ultimately requires a discussion of farming methods, the economic system, and education, and many objections will be raised along these lines. But at the most basic level, it is very difficult to argue that a Stoic should inflict or support the suffering of non-human animals or completely exclude their interests from ethical consideration. Why would a Stoic do this unless they had to? And what kind of circumstances qualify as ‘have to’? It can be tricky to discuss because we humans are prone to take things personally and get offended quite easily (myself included). But what happened to the four aspects of Stoic virtue? Are we not supposed to challenge ourselves to live better, to be courageous and self-disciplined? Since when was being a Stoic about letting ourselves off the hook because it feels pleasant? Years ago, I often complained about how expensive our grocery bill was. I live in New Zealand, in a city that the cost of living regularly hits top 20, sometimes 10 in the world. Once I was backpacking through Switzerland, and found the resort town, Gstaad, had similar food cost to back home. 😑 I was livid, given the average income in NZ is much lower compared to many developed countries. I then lived overseas for a few years. Once I got some pre-made burger parties from Tescos: it’s thickness shrunk to half the original after frying, leaving a think layer of greasy mixture in pan. I felt sick, and wondered what kind of horrible life the cow lived to produce such sickly meat. I started buying meat from the local butcher, and my grocery bill went through the roof. I then went to south America, where I truly experienced “meat being the cheaper option”. By chance, I met a couple from the south island of New Zealand who were vegetarians. We were at a BBQ where a HUGE amount of meat was being cooked. I felt so sick, and my new friends shared with me their vegetarian quiche. That was the final straw – I was never going to have factory farmed meat ever again. I came back home. The grocery bill was still crazy high, and the income level was still comparable low. However, everytime I look at the price label “$52/kg(around 50usd/pound) lamb rack”, I know at least that sheep had a good life grazing in the mountains. A modern stoic should be vegetarian but within reason. I suppose eating meat is allowed.